iPay congratulates Ministers of Ministry of Post, Telecommunication & IT | iPay Bangladesh: A free e-wallet & secure payment platform. (Priyo.com) iPay Systems Limited has congratulated and sent their well wishes to newly appointed Honorable Minister of Ministry of Post, Telecommunication and Information Technology, Mr. Mustafa Jabbar and Honorable State Minister of Ministry Post, Telecommunication and Information Technology Ministry, Mr. Zunaid Ahmed Palak, for the second term. 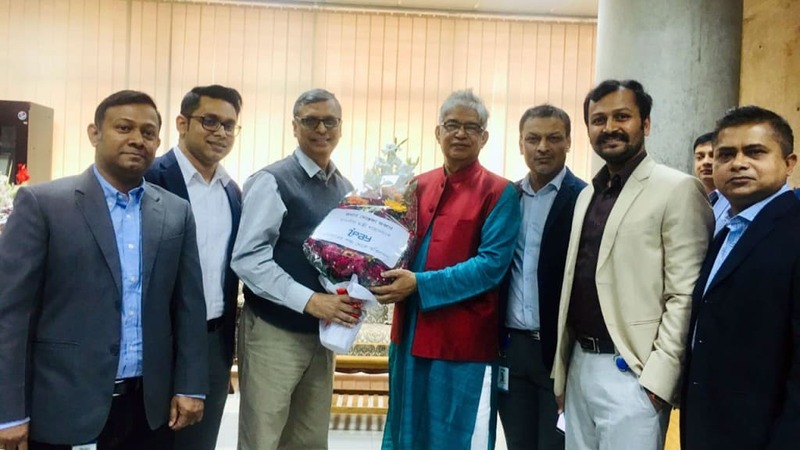 CEO & Founder of iPay Systems Limited and IT specialist of Priyo.com, Mr. Zakaria Swapan whole heartedly welcomed the newly appointed ministers by visiting them on January 10, Thursday, in their respective offices located in ICT Tower, Agargaon. Other attendees included iPay Head of Business and Strategy Muhammad Abul Khair Choudhury, iPay Head of Enterprise Raihan Faiz Osmani, iPay Technical Lead Mohsin Khan, iPay Head of Operations Saiful Alam Mohammad Kabir and iPay Head of Strategic Partnership Jamil Uddin Bhuiyan. 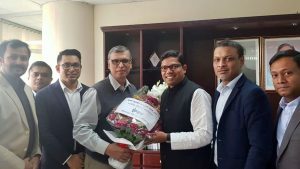 Earlier that week, Mr. Mustafa Jabbar and Mr. Zunaid Ahmed Palak were sworn in as Minister and State Minister of Post, Telecommunication and Information Technology Ministry, on 7th January, Monday, respectively. Noted: iPay is Bangladesh’s first online e-wallet licensed as a PSP by Central Bank, Bangladesh Bank. It was commercially launched last year in 2018. The institution is striving and working diligently to gear the society towards a cashless one.